You can sign the “Change PA Hate Crime Law to include Sexual Orientation” petition all you want, but the real change is going to have to come from within the Pennsylvania state legislature. The good news is that there’s already a bill that’s been introduced to do it. The bad news is that it’s probably not going to happen anytime soon. The bill in question, seen below, was introduced during the 2013 session and likely won’t see any activity until 2015. Sexual orientation was part of our hate crime statute from 2002 until 2008, when the Supreme Court decided that the inclusion of sexual orientation was unconstitutional. The new bill would add gender identity, sexual orientation, and physical and mental disability to the hate crime law. Even the Arch(bishop)phobes of the Catholic church are upset by this street attack — and want to distance themselves from it. Standard Issue PR, dear. 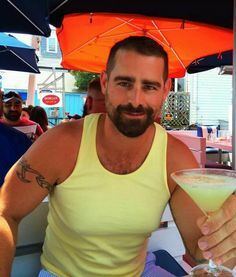 How do you feel about what Brian Sims is proposing? Oh what a world you live in Sully. If anybody sees him and hubster physically assaulted for being the Big Ol’ Gay Homosexuals they are don’t call the cops. Tom Waits will croak us out.